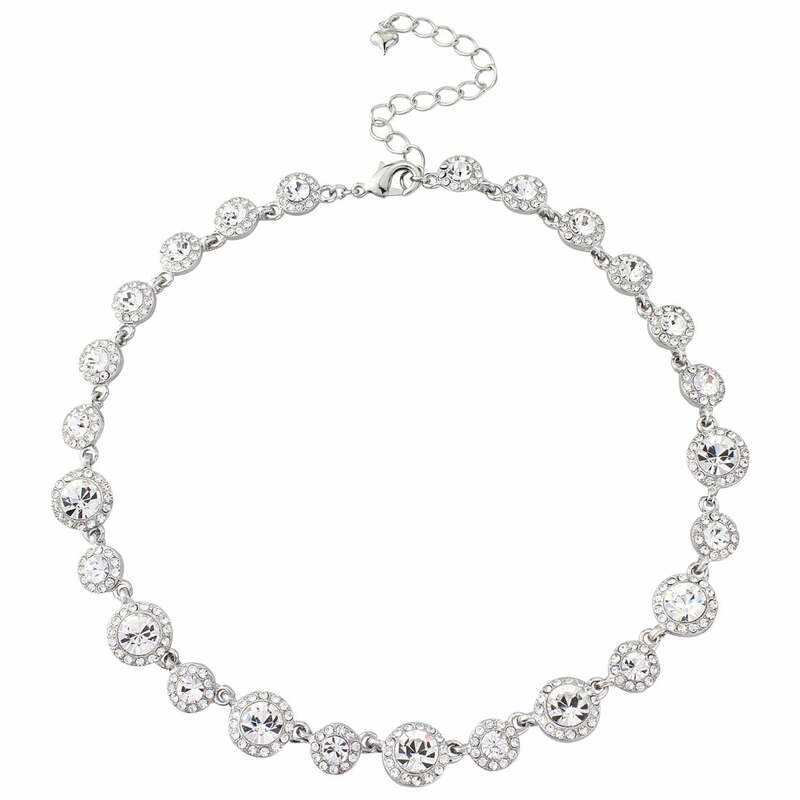 A glamorous necklace for women who adore sparkling 1940s eternity styles. Our Eternally Timeless Necklace takes inspiration from vintage jewellery from the iconic 1940s Hollywood era. Featuring sparkling clear Austrian crystals surrounded by a myriad of petite crystals set on silver tone linked in an eternity style, this necklace sits perfectly on the collarbone oozing Silver Screen glamour. A classic piece, it is perfect for every special occasion. Coordinate with Eternally Timeless Bracelet and Earrings for old school movie star style. A stunning wedding necklace for brides who adore 1940s glamour, Eternally Timeless Necklace will accessorise a vintage inspired wedding gown to perfection. For sparkling Starlet bridal style, team with a crystal headpiece pinned in a low side bun to dazzle as you glide down the aisle. Also fast delivery & easy, no fuss ordering.